Today Is Pi Day, Not National Pie Day. Here's the Difference. While there's a "food holiday" for just about everything you love to eat, it turns out there are actually two separate days every year when people come together to celebrate pie: National Pie Day on January 23 and Pi Day on March 14. As you can imagine, it's easy to confuse the two occasions when there's, say, free pie and pizza involved, but here's a quick breakdown of what makes them different. For starters, Pi Day is about much more than stuffing your face with the flaky, fruit-filled desserts. Now would be a great time to grab a generous slice of apple pie (and maybe some ice cream on top) before we dig into what makes each date special. Learning makes you hungry, right? 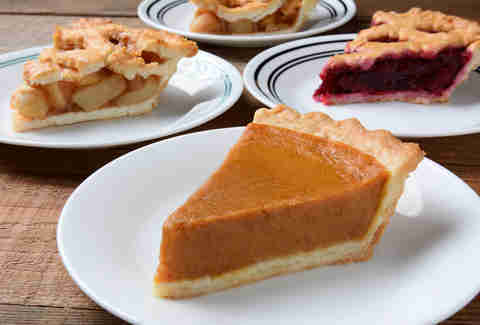 National Pie Day is observed on January 23. What Is National Pie Day? In 2019, National Pie Day falls on a Wednesday, which may or may not be the excuse you need to enjoy a slice or two on an otherwise ordinary weekday. In any case, you can thank Charlie Papazian, an American nuclear engineer, craft beer brewer, and author, who is credited with creating the food holiday in the 1970s after he declared his birthday to be National Pie Day. Really, he just up and proclaimed the date as a national celebration of pie. The American Pie Council, of which Jason Biggs is thankfully not a member, has sponsored the holiday since 1986. 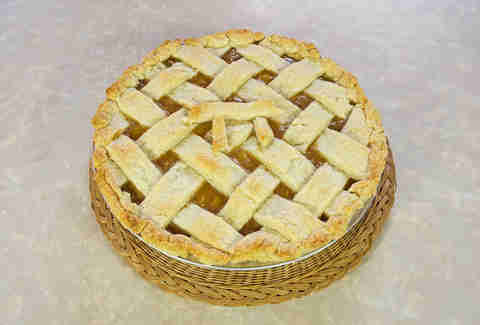 "January 23rd is National Pie Day, a time to celebrate the day with pie," the council states on its website. "... We are encouraging pie lovers everywhere to host pie parties across the country. Whether it be with your friends, family, or co-workers, share some pie on January 23rd." 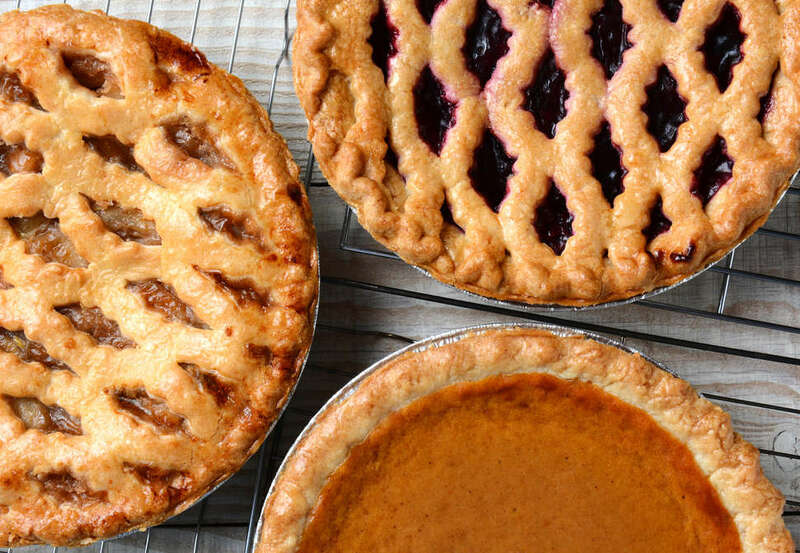 Of course, every day can be "pie day" if you try hard enough, but some restaurants -- mostly local restaurants and regional chains -- end up marking the date with free pie, discounts on pie, and other pie promotions. Michigan's Grand Traverse Pie Company, for example, is offering a free slice of apple crumb or cherry crumb pie with any order all day. Pi Day is observed on March 14. Get ready for a flashback to middle school math class. First and foremost, Pi Day is a celebration of the mathematical constant, π (pi), or 3.14159265359. As you can see, the date is literally the first three major numbers, when you write March 14 in a numerical format, like 3/14. That's right: Pi Day is about math, but thankfully, someone made it fun with pies. Best of all, a lot of people tend to celebrate the occasion with pizza, too, which arguably makes Pi Day better than National Pie Day. The annual celebration of numbers and food is relatively new. Larry Shaw is credited with holding the earliest known large-scale celebration of Pi Day in 1988 at the San Francisco Exploratorium, where he worked as a physicist. The public joined museum staff for a march around the building's circular spaces, then gathered to eat a bunch of pies, according to a report by Newsweek. The U.S. House of Representatives voted to officially recognize Pi Day in 2009, although then-Congressman and current Vice President Mike Pence and nine other Republicans voted against the measure. Today, Shaw is known as the Prince of Pi, largely thanks to his brilliant idea to make math more fun with dessert. Pi Day celebrations typically involve more pie than math. 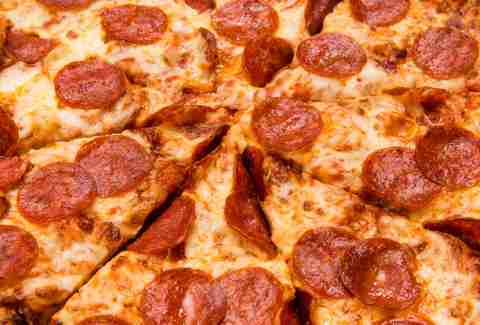 In fact, Pi Day is when major restaurant chains -- both pie purveyors and pizza joints -- and other retailers roll out the best pie and pizza deals. For Pi Day 2019, many popular chains all across the country -- from Cici's to White Castle -- are celebrating with special deals and discounts. Even Whole Foods is getting in on the action with a deal for $3.14 pies. As for pizza discounts for the occasion, plenty of chains had your savory needs covered. Oh, and local pie shops and other dessert-centric restaurants are also known to launch free pie giveaways and other deals, so check with your hometown restaurants to see if they're celebrating, too. Perhaps the greatest way to observe Pi Day is to bake -- then eat -- a pie with the pi sign baked into the upper layer of crust or lattice. You can also create the pi sign with pepperoni on top of a pizza. Or since Pi Day only happens once a year, you can go wild and make both. "Here at the American Pie Council, we encourage you to celebrate by teaching someone to make a pie. This is a great way to pass down the art of pie-making. To show people that you appreciate what they do for you throughout the year, donate some pi(e) to you local police and fire departments. They really appreciate it." How you celebrate National Pie Day and Pi Day is up to you. As always, celebrate responsibly. Tony Merevick is Senior News Editor at Thrillist and needs more pie in his life. He already eats more than enough pizza, though. Send news tips to news@thrillist.com and follow him on Twitter @tonymerevick.